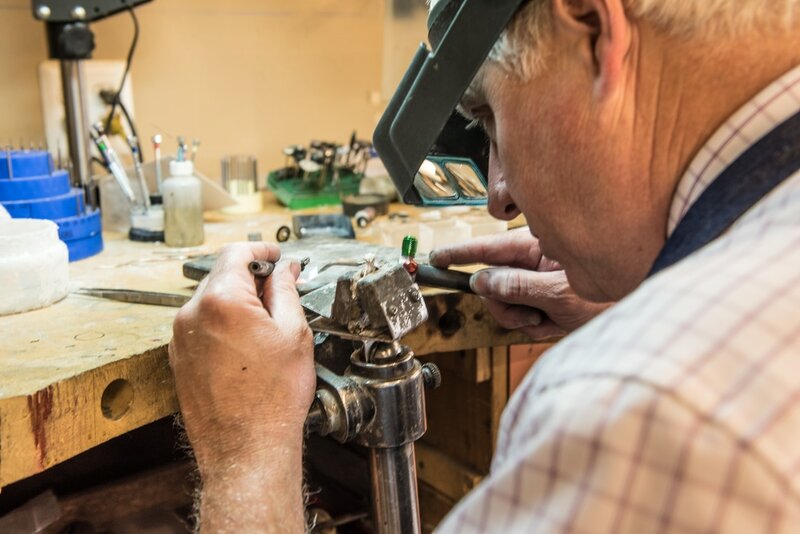 At Calhoun's Jewelers, all jewelry repair work is done on site. Doug and Curt Calhoun each have over 30 years experience in jewelry repair. Calhoun's Jewelers is the only place in Topeka with a Certified Bench Jeweler on staff. We are even the trusted jeweler for other jewelry stores in northeast Kansas. You are welcome to speak directly to the jeweler no matter what time you come in, because there is always at least one jeweler on site. Rush jobs are a common request at Calhoun's Jewelers, so we keep a full inventory of replacement parts and gemstones on hand. We are able to finish most repairs within a couple of days. No repair job is too big or too small for Calhoun's Jewelers. 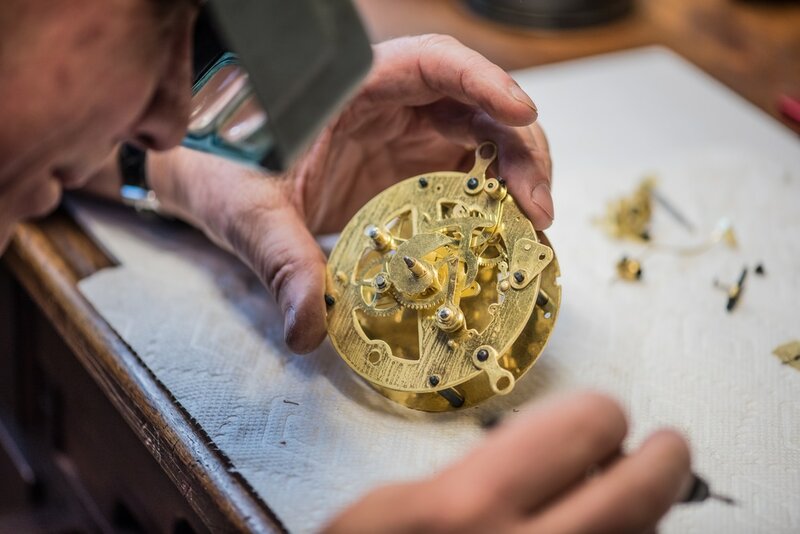 Our shop is equipped with the most advanced technology, enabling our talented jewelers to do the most fragile and complicated repairs. We are happy to take on any repair challenge. 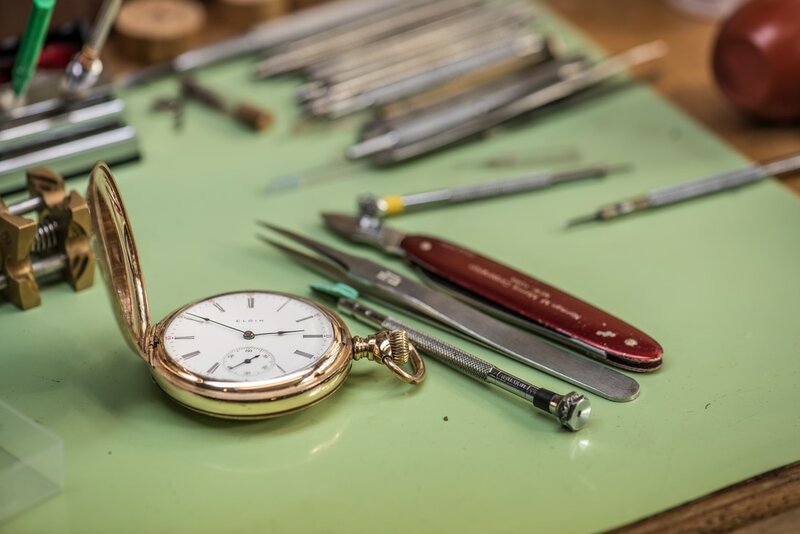 Not only do we repair jewelry, we also repair watches, clocks, eyeglass frames, and more. Below is a list of our more common repairs. If you have something else you think we might be able to repair, just ask. We probably can!